We thought you might be interested in some of the latest developments here at LandWorks. 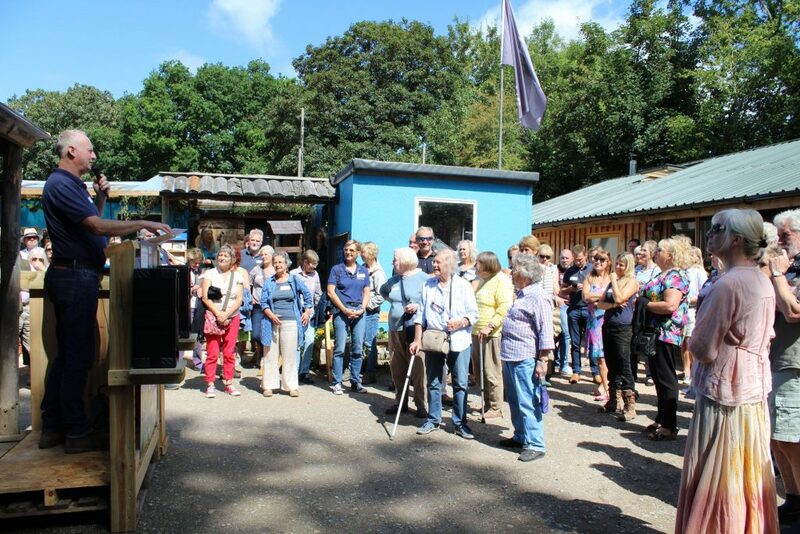 Over 200 people gathered at Quarry Field on 17th August to see what we have been doing over the last year. They listened to speeches from myself, Ted Tuppen (our chair of trustees) and a crowd-pleasing speech from Jarvis. He is 10 months out from prison, just started his first paid job ever – at 53! – and he told it how it is, not a dry eye in the house (yard). We raised over £2,000 in donations on the day, some of which was given to our appeal to buy a rotavator for the market garden. This appeal is still running and you can donate to it here – we’d love to reach our target. The event has also made the front page of Inside Time, the national newspaper for Prisoners and Detainees which will spread the word about the great work we are doing here to others throughout the criminal justice system. Full article here. We are seeing increasing numbers of referrals with community sentences, ie non-custodial. These sentences take many forms but recently we have been involved in trialling a deferred custodial sentence, called a Drug Rehabilitation Requirement (DRR). This is where an individual must report to his sentencing judge once a month, be involved with a drug keyworker and commit to placement at LandWorks…. So far, so good. Although not entirely new, this idea is very positive and very welcome. In contrast to the above, the system is now so messed up it looks as if we are forcing people into situations where they commit crime to survive. Jack was released this week, with no discharge grant because he had been recalled to prison. So, no money, no ID, no clothes, no possessions (because of his recall the hostel where he had been staying disposed of all his possessions after 4 weeks). He has the set of clothes he stands in. No ID = no bank account = no benefit payments (they only pay to a bank these days). And in all honesty even with a bank account he won’t get any benefits for three weeks! After five years of being such a key part of developing and running LandWorks so successfully, Sarah is moving on to new things… India! With her partner Jake and a mosquito net. We’ll be sad to see her go but wish her well for her travels. 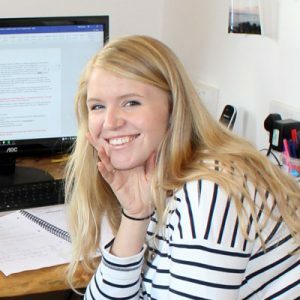 Sarah joined LandWorks as an intern five years ago and has been integral in its development since. She will be missed by all the team here. Caroline Voaden, our new Operations Manager, starts on 1st October and you can get in touch with her here. This is incredibly helpful for us to use in supporting funding bids etc and will only take you a few minutes to complete – please do. Click here to complete the survey. Thanks!